as the title suggests, you do your best to burn the rope. Each level consists of several ropes which are linked together, they often form a colorful or creative image. Users choose at which point they will start to burn the rope. 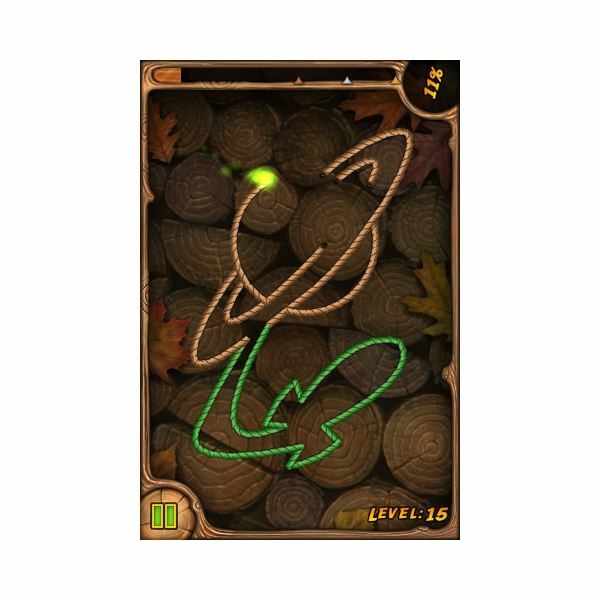 Fire only burns upward in this game, therefore users must turn the device constantly to control the path which the fire takes as it burns and to ensure it continues to burn. Failing to provide the flame with an upward route will cause it to snuff out and result in you losing that particular puzzle. The concept is new, creative and takes advantage of the iPhone accelerometer in a pleasant way, thus Burn the Rope earns a good ranking for the concept. changes which keep the gameplay exciting for a decent amount of time. During the early stages, gameplay consists of starting the fire by tapping a specific point on the rope, you then rotate the device constantly to provide the fire with an upward path to burn. This might sound easy, however, it requires quick reactions and can be quite challenging at times. As the puzzles progress, the fire breaks off across multiple ropes and ensuring that all the fire has an upward direction to burn in becomes quite challenging. becomes apparent several puzzles later when colored ropes are introduced. Puzzles are mixed with various colored ropes and insects to change the color of the flame. The flame color must match a particular colored rope in order to burn it, thus creating a more interesting gameplay element. Ants and other insects move freely around the rope and therefore occasionally change the color of the rope to something different from what you need, causing the flame to stop burning the rope. This element adds the need to carefully position the flames starting point and be very attentive to the insects on the rope. 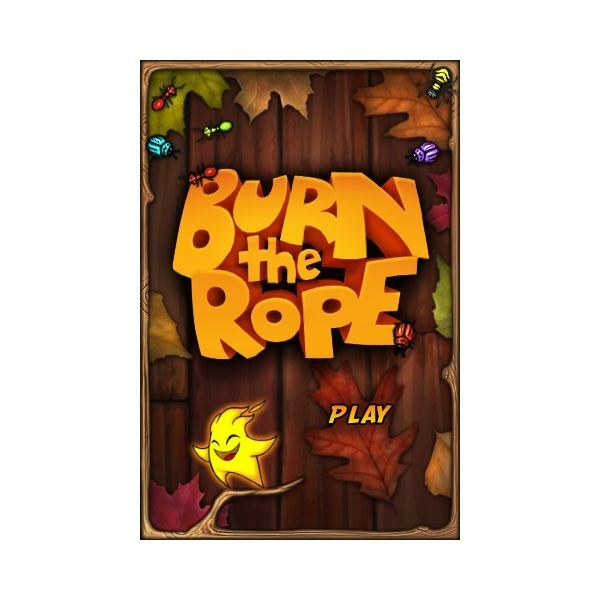 There are several other small surprises in the gameplay of Burn the Rope and it proves to be an overall blast, although it does become slightly repetitive. The truth about Burn the Rope is that it ranks nicely on the list of iPhone games, however, it soon becomes slightly repetitive. Burn the Rope lives up well to the reputation of a successful mobile game in the sense that it provides solid gameplay but lacks any real substance. Essentially the game is a repetition of rotating the device and attempting to get the flame to burn in an upward motion. It will likely keep players entertained for a few hours, maybe a few days at the most. 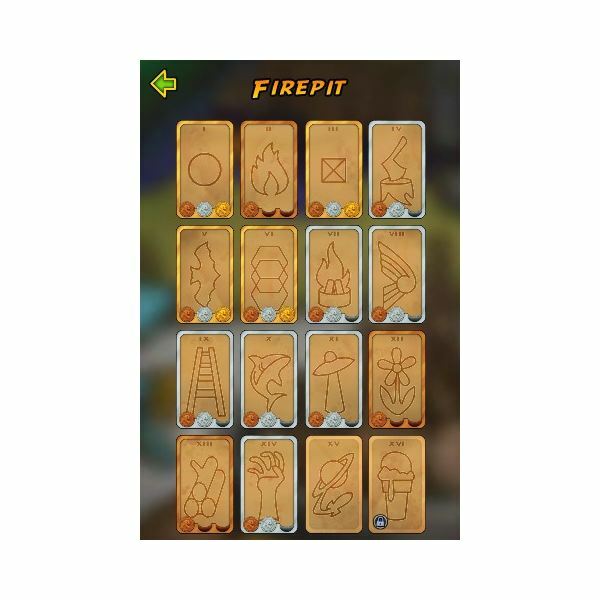 As levels progress they become quite hard and it becomes difficult to keep track of all the flames, thus making it a game of luck and quick device rotation.